Are you ready to inhale your drink next time? The Vaportini offers a new way to consume you favorite cocktails and spirits. With the Vaportini, instead of drinking your favorite liquor, you inhale it! That’s right. The Vaportini turns your favorite alcoholic drinks into vapor. But why do this? According to the manufacturer, there are several benefits to consuming liquor with the Vaportini. The first is that since the alcohol is vaporized most of the carbs and calories that usually go hand-in-hand with drinking alcohol are eliminated. The Vaportini also does a good job at highlighting the different flavors of the alcohol. Not only does it smooth out the taste of the liquor, but it also allows you to detect subtleties that are difficult to taste when drinking the liquor. Another interesting feature is that you are able to infuse the liquor with different flavors, like a lemon rind or herbs and spices, which change the flavor profile when inhaled. This can allow the user to create their own custom cocktail of sorts. The Vaportini requires the user to think about their cocktail in a completely different way. Instead of slowly sipping your favorite drink from a cool glass, you inhale it from a ball with a metal straw. While this change is neither a good nor bad thing, it is definitely a change in the cocktail experience. Any spirit 60 to 100 proof works in a Vaportini, however, the more flavorful the spirit the better the results. The inventor's favorites are bourbon, gin, flavored vodka, and tequila. 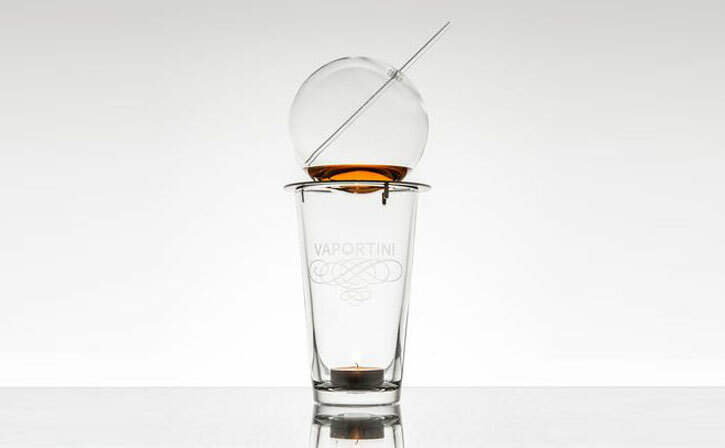 The Vaportini Complete Kit costs $45 and it includes the globe, metal straws, the base to hold the globe, the glass and candles. 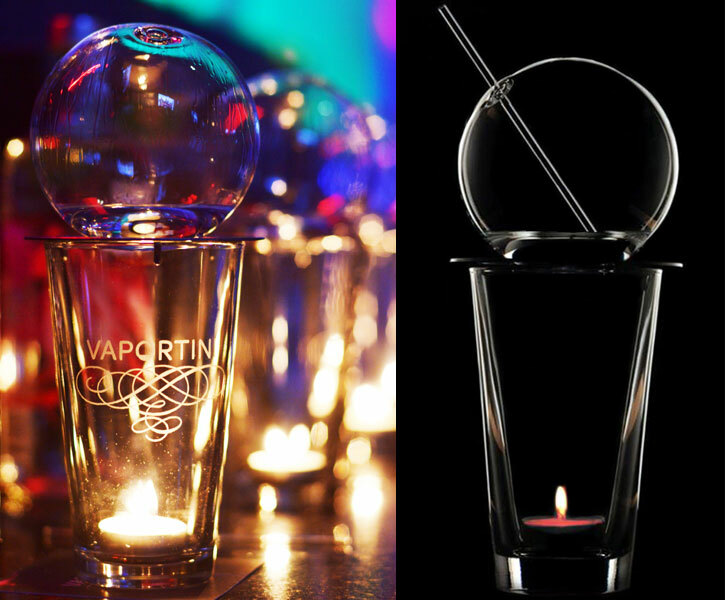 To use the Vaportini you start by lighting a small candle in the bottom of a standard pint glass (both the candle and glass are provided, but any would work). You then place the custom Vaportini metal ring on the rim of the glass. 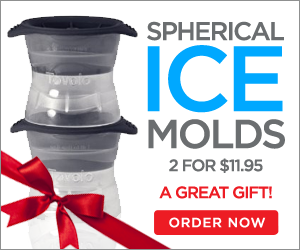 Next, you use the Vaportini funnel to pour 1-1.5 ounces of your favorite spirits into the globe. Then you place the globe on top of the metal ring and allow the spirits to warm and vaporize. This typically takes between 4-5 minutes. When the vapors begins to form, you use the metal straw to inhale the vapors. Depending on how quickly you consume, the vapors can remain active in the globe for 20 to 40 minutes. The main drawback of the Vaportini is that the globe can be difficult to clean. While the small hole makes it easy for adding the alcohol and is necessary for vaporizing the alcohol, it does make it difficult to rinse it out between uses. While it is possible to rinse and drain most of the liquid out of the bubble, it takes a little bit of time and sometimes it is hard to drain the last few drops. They do sell a cleaning kit but we didn't have one of those to try. That being said the other pieces of the Vaportini are simple and easy to clean. 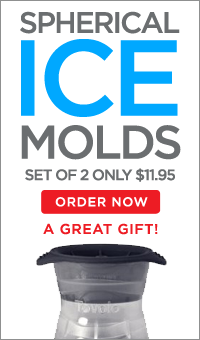 Many are dishwasher safe and the rest can be easily rinsed and dried. So what do you think? Does this sound like a good idea?